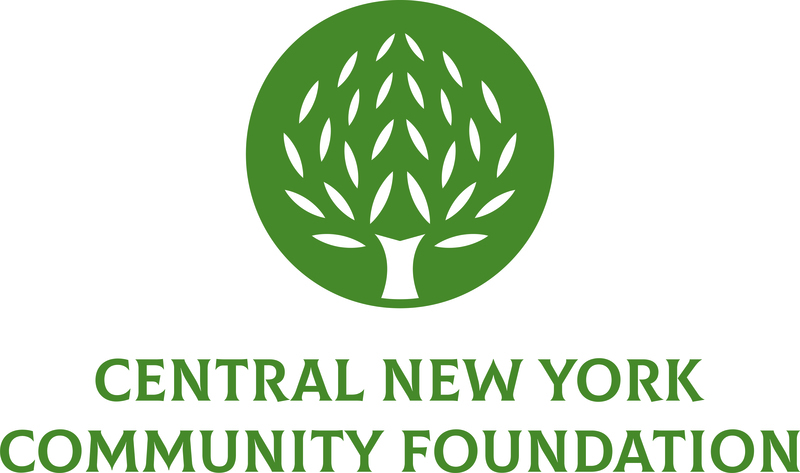 Cortland, NY (April 5, 2019) – The Central New York Community Foundation awarded $55,000 in the second year of its Cortland County Bright Ideas grants to eleven nonprofit organizations. This is the most awarded so far in Cortland Bright Ideas history. Each received a $5,000 grant toward a program enhancement. The grants were made possible by contributions from the Fenstermacher Fund, Cortland Community Foundation, Yaman Foundation, Bertini Family Foundation, Roland Fragnoli Family Fund and Nicholas A. Renzi, Sr., as well as several anonymous donors. The selection committee was comprised of the organizations and individuals who contributed. Applicants were invited to submit a ‘bright idea’ for enhancing their nonprofit and explain how that idea will help the organization better serve its community. Each submission was evaluated based on community impact, collaboration and sustainability. The Fenstermacher Fund, administered by the Central New York Community Foundation, serves as a catalyst for the Bright Ideas program. Ted Fenstermacher was a prominent attorney who served as a chief prosecutor in the Nuremberg war crimes trials following World War II. The Fenstermacher Fund, established through his bequest in 2001, has supported the general needs of the community for more than 15 years, largely through the funding of a lecture series, prior to the launch of Bright Ideas. 1890 House Museum to expand its concert series to showcase additional local and regional artists in an intimate setting. Believer’s Chapel Cortland to purchase 500 backpacks, 100 haircuts and school supplies for its Back 2 School Event. The event provides underserved children with basic necessities at the beginning of each school year. Cincinnatus Area Heritage Society to purchase new pew cushions for its A CUSHY JOB program located in Heritage Hall which is a community center for education and cultural events. Coalition of Center Councils of Cortland County, Inc. to purchase technology equipment for its Senior careTECH project, which provides a specially designed alarm clock to seniors with Alzheimer’s Disease or Dementia. Cooperative Extension of Cortland County to purchase laptops, digital cameras, 3-D printers and robotics kits for its 4-H STEM Initiative, which provides programming for youth development in the areas of science, technology, engineering and math. Cortland Repertory Theatre to support its Art for Lunch program, which provides hands-on arts experiences for individuals to engage in during Catholic Charities’ free summer lunches in the park. Seven Valleys Health Coalition to purchase a new Mighty costume for its Mighty Molar program, which educates youth in Cortland County about dental health. YWCA Cortland to launch its Be the Change You Wish to See in the World project, which will educate children on a social justice curriculum that encourages tolerance and acceptance of diversity. Puzzler Solvers to create a monthly Autism Family Support Group for families affected by autism to gather in a safe and supportive environment. Pajama Program to purchase pajamas and books for children who lack access to those materials. New Ministries to support its Easing Stress for Our Elderly project, which provides housekeeping support for rural elders of all abilities and transportation to shop for food and other needs. To learn more about the Cortland County Bright Ideas grants program, including how to make a contribution, visit www.cnycf.org/cortland.